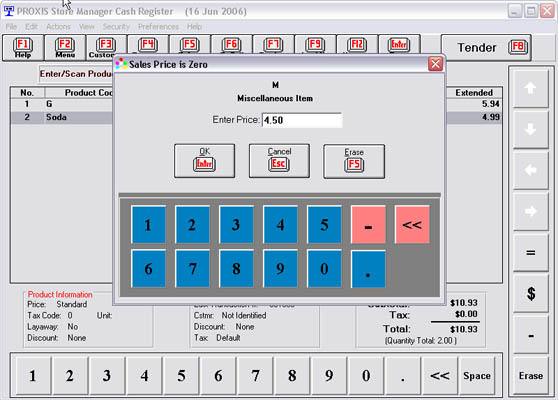 Store Manager Classic Point-of-Sale for Windows transforms a PC into a powerful point-of-sale cash register for retail sales, service, and rental businesses. 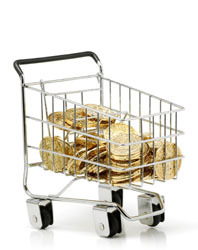 Maintain an unlimited number of products in the database and set price levels by customer, quantity, or promotion. Store Manager Classic Point-of-Sale works with or without bar code equipment and is compatible with traditional or touchscreen displays. 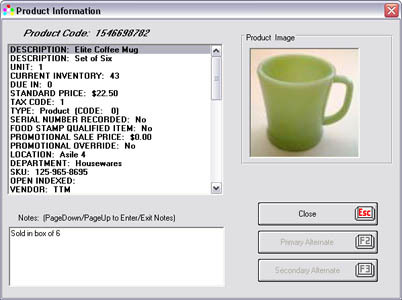 At the point of sale, product codes are entered or scanned into the transaction and the screen instantly displays the quantity, price, and product description. 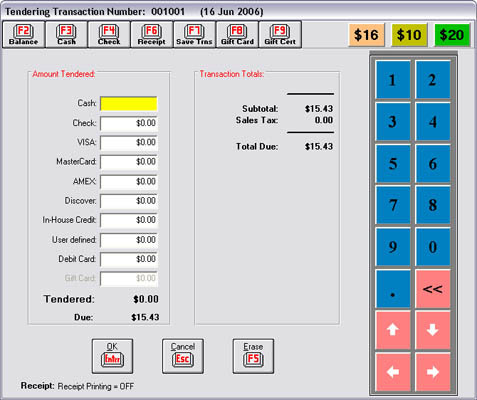 The transaction is totaled, sales tax is applied, change is computed, the cash drawer is opened, a receipt is printed, and inventory and sales records are updated. 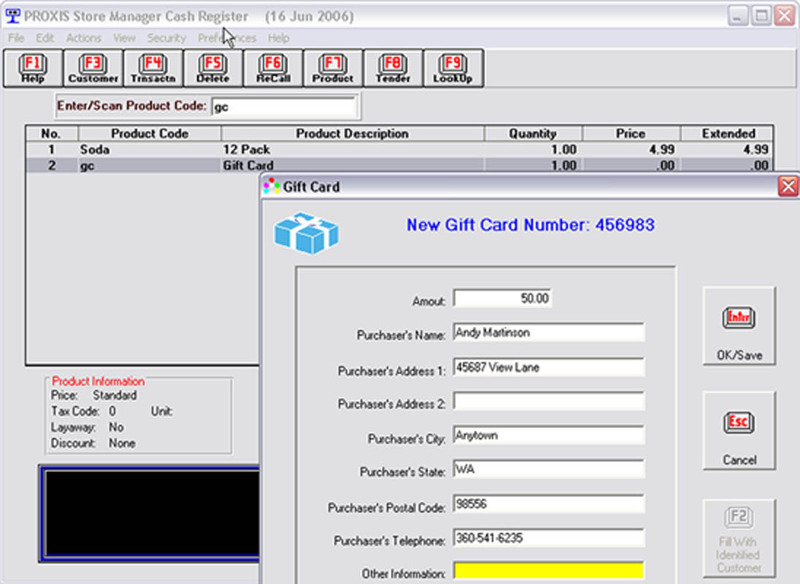 Many transaction options are available, from layaways and gift cards to item rentals and in-house charges, making Store Manager a complete and powerful point-of-sale system. Store Manager Classic Cash Register: Perform day-to-day operations & sales. 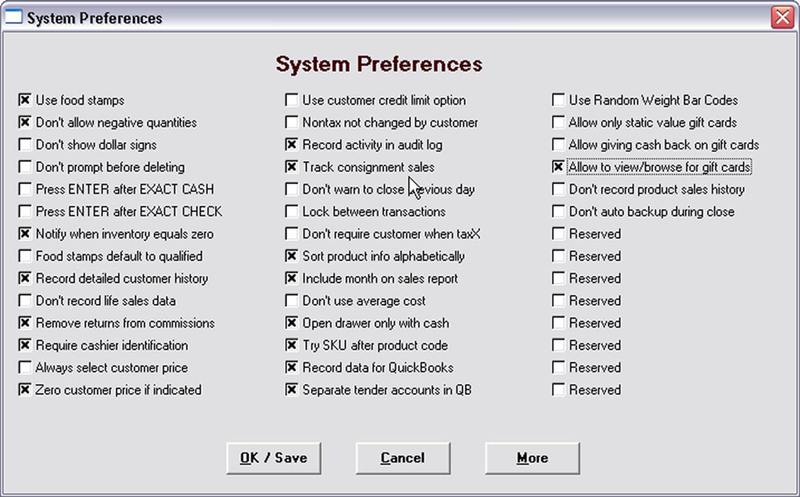 Store Manager Classic Office: Handle system setup & options, access data, run sales & inventory reports manage receivables, & more. Store Manager Classic Data Integrator: Support & integration for portable data collector files & other external files.